This week’s edition of Antelope Intros features two out of state university development counselors. One is from the Bay Area with a passion for cooking. The other is a proud grandfather who lives at his local ice rink. Ballet to Broadway, GCU’s Spring Dance Concert, features 14 pieces that range — as the title suggests — from classical ballet to foot-stomping Broadway. Most of the works are original dances choreographed by faculty and guest artists. Tickets are sold out for Friday night and selling fast for Saturday night. 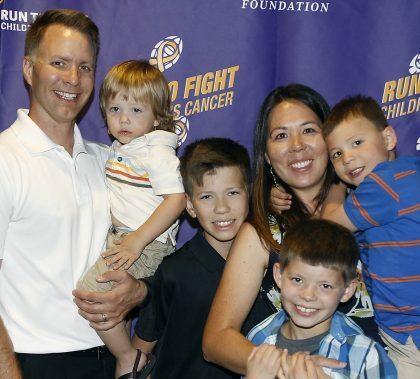 This one ranks high on the too-good-to-be-true scale: When Perry Harris had a heart attack and collapsed at the GCU Foundation Run to Fight Children’s Cancer last month, he just happened to have nearby a doctor, a certified athletic trainer, students from the Sports Medicine Club and members of the GCU Police Department. 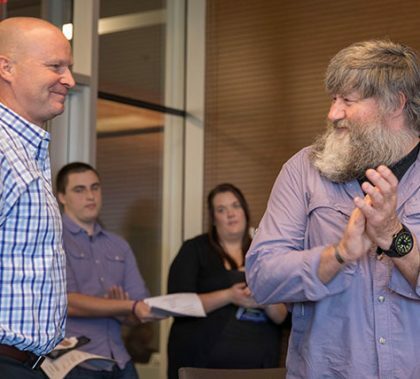 Together, they saved his life, and Wednesday everyone got together to celebrate a job well done — and a life that can continue to be well-lived. Students who need academic support can find it in a lot of places on campus, starting with the eight Learning Lounges. 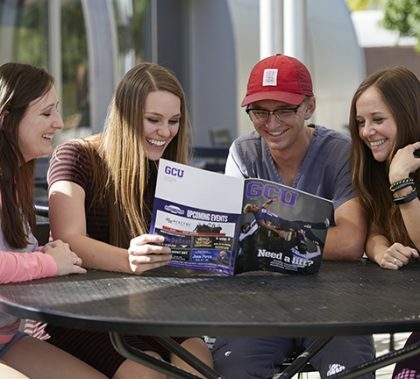 The May issue of GCU Magazine explains what’s available and how it differentiates the University. 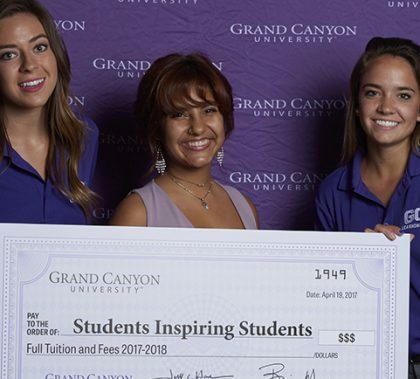 There also are stories about other GCU successes, both academic (support for online students, the Honors College) and extracurricular (Speech and Debate, track and field), plus the GCU Year in Review. 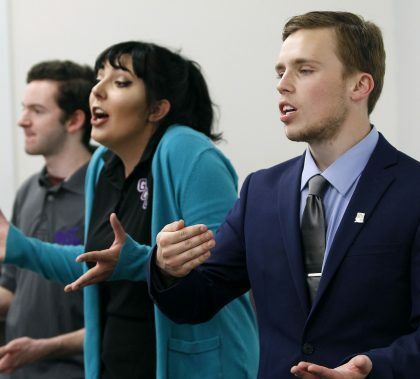 GCU senior Tatum Kaiser had never participated in speech until she joined the Speech and Debate Team this year, but it’s an understatement to say she caught on quickly. This week, she was named national champion in Impromptu Speaking at the National Forensics Association National Championship Tournament. “We have a national champion on our hands,” said team director Barry Regan. 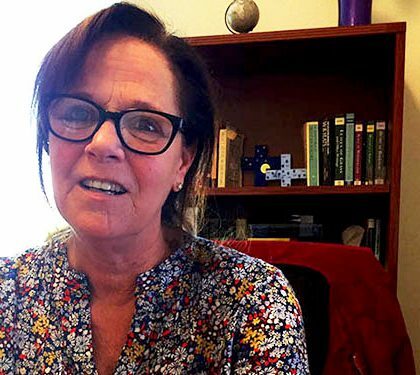 Dr. Diane Goodman, a College of Humanities and Social Sciences full-time faculty member, will be included in the next “American Writers Supplements,” part of the “American Writers Series” that includes hundreds of most notable writers from the 17th century to the present day. Author, cook, professor and club adviser, Goodman’s three short story collections are stories about women and use food and cooking as metaphors.